In light of the ongoing BC teachers’ strike, I thought it a relevant time to post this talk, which I originally gave at Brown University in 2011 (during another strike). In it I introduce the concept of gift economies, via Marcel Mauss and Pierre Bourdieu, and illustrate how the Liberal government mobilizes this rhetoric in order to undermine the BCTF’s bargaining position. I argue that teaching is not a gift and that we (as teachers and allies of teachers) need to amend our language to account for the specific labour values that gift rhetoric necessarily disavows. Gift theory was first developed in 1923 by the anthropologist Marcel Mauss and was made famous (at least in academic circles) by George Bataille, Jacques Derrida and Pierre Bourdieu. The original text, Essai sur le don, was an analysis of the gift exchange and the practices of reciprocity found in non-European cultures, namely the Kwakiutl people of what is now known as British Columbia. While there are a number of subtleties and nuances to be drawn out of Mauss’s work, what is most intriguing about “hau” and gift theory is how it, like the Freud’s unconscious, can never be directly studied. “Hau” can only be viewed askance, from the corner of one’s eye, because once the participants involved in the exchange acknowledge that the gift demands a return, it loses its determinacy as such. By definition, a gift is that which is “given gratuitously, for nothing.” In order to maintain its definition as such, the must therefore efface all reference to capital and exchange value. Erasing all traces of a gift’s monetary value is something that I think many of us are already familiar with. If you have ever scratched off a price tag off a box or asked for a gift receipt you probably know what I am talking about. Mack’s deadpan rationalization here is the stuff that modern sitcoms are built on: the bumbling husband who gives his wife a hundred bucks her birthday and then can’t understand why she makes him sleep on the couch. After all, his wife would probably hate the sweater he chose anyway. More importantly, however, Mack’s example also illustrates the way in which participants of a gift exchange disavow the capital implicit to the object itself–the sweater is, after all, only one step removed from an envelope of cash–in favour of its surplus value: generosity, friendship, love, the general care the giver puts into choosing it out. The best gifts are always those that seem to speak to some essential characteristic of the recipient. The fantasy of the perfect gift is that it will divine the desires of the other even when those desires may be invisible to the recipient him/herself. As such, the gift mediates an economic exchange by translating cash into social capital. (The gift certificate has an interesting position between financial and social capital that I think would add to a theory of late capitalism, but that’s for another conversation). in an economy which is defined by the refusal to recognize the ‘objective’ truth of ‘economic’ practices, that is, the law of ‘naked self-interest’ and egoistic calculation, even ‘economic’ capital cannot act unless it succeeds in being recognized through a conversion that can render unrecognizable the true principle of its efficacy. Because economic disavowal is so implicit to the gift it can be mobilized in neo-liberal rhetoric to deflect money away from the public sector into private enterprise. In this sense, “gifts” are good and services offered to the state under the pretence of generosity and good citizenship: it is not what your country can give to you, it is what you can give to your country. By coding public sector contributions as gifts, government officials distract from the economics of labour by overdetermining its goodwill. As such, the logic of the gift can be employed by neo-liberal pundits as a means to control the public sector and deflect union demands for wage increases. “The gift of teaching” is widely enough used to be called a cliché. For the most part it is used without much serious consideration and it is certainly not deployed with any malice. In the English language “gift” is a synonym for talent. One might suggest that Paris Hilton is a gifted actress or that Benny Goodman was born with the gift to play jazz. However, the use of “gift” in reference to public sector jobs exposes the neo-liberal ideology at play in the discourse. There is a second, less obvious logic working in the use of “gift” which Mauss and Bourdieu make explicit in their work–namely that “gift” obfuscates financial capital. Or, to argue this in a slightly different way, when one has a “gift” for some activity, be it acting, playing the clarinet, teaching or sorting pop cans, that activity is no longer as directly coded as an act of labour. Many of us whine and complain about teachers–including me, and my kids aren’t even in the school system! But one of the issues that we perhaps fail to remember is that teaching is a gift, not a profession. We have made it into a profession, arguing that one has to have all this schooling to teach. Truthfully, though, all that schooling will not make someone a good teacher, any more than voice training will help someone who is tone deaf. You have to be able to teach in the first place. Education can make you better, but it cannot create a gift that isn’t there. Gregorie emphasizes the portion of this paragraph that I am most interested herself: “teaching is a gift, not a profession.” The rest of the paragraph, and the essay itself, uses “gift” in the sense of talent and her primary point is that “the gift of teaching” is something that an individual is born with, not something that one can be taught. However the emphasized lines speak more to the issues of labour and economics that are caught up in the logic of the gift. In setting up “gift” as the antonym to “profession,” Gregorie also implies that teaching does not require the work, time and commitment that a “job” would require. To put this in the Marxist terms that Bourdieu works with, as a “gift,” teaching is not labour, and it is therefore not properly a commodity. Of course, this type of reasoning only follows from the basic definition of gift itself, which necessarily works to delineate this type of exchange from that which occurs in capitalism. 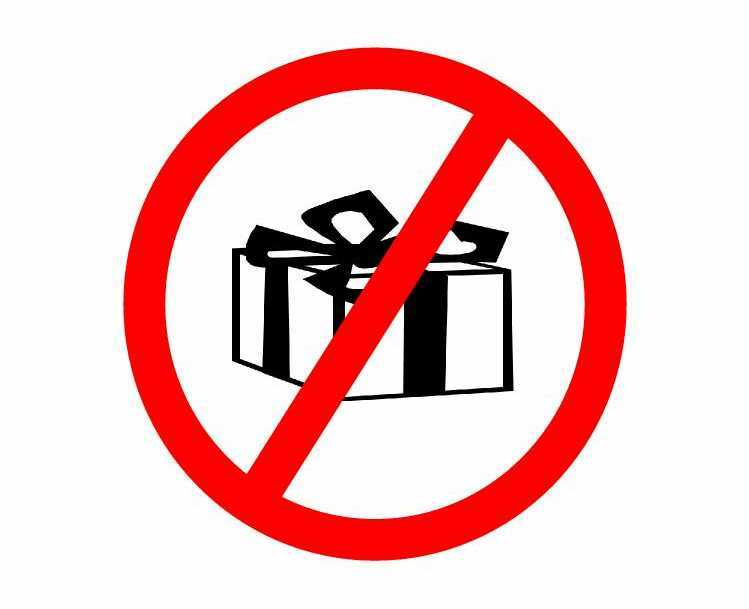 In this sense, “gift” is used as an ideological obfuscation. It interferes with the fact that while they may enjoy it and be very good at it, teachers are still participating in market exchange. I realize that the argument I am making here risks painting teachers as be coin-counting Shylocks (in the Shakespearean sense) who are merely participating in a system of exchange in the same way that a real estate agent or insurance broker might. What I want to draw attention to however is just how powerful gift rhetoric is when teachers engage with it in labour disputes, as opposed to opening up new avenues of discourse. Operating within the logic of the gift, teachers risk making themselves out to be the misers, rather than drawing due attention to the fact that it is the government refusing to negotiate and part with capital. Naked self-interest is never a good position to be in when vying for public support. To argue this differently, the rhetoric of the gift is a problem of optics. Within the terms in which the debate is framed, teachers are always already caught up in a debate that elides, or at least clouds, the labour of their work. The knee-jerk reaction from the Left, then, is to play into the opposition’s hand by emphasizing what teachers still give “generously” the time the donate without expecting return: extracurricular activities, mentoring, field trips, extra office hours, 3am emailing, and so on. I would not go so far as to say that all teachers are benevolent saints (namely because goodwill is often the last thing on my mind when I am stuck marking 70 undergraduate papers at the end of a term), but this blogger makes an important point here. The majority of teachers have chosen to do the work they do because teachers play an important role in people’s lives. Education is rightfully a proud profession and the left should be coming to teachers’ defence. I am in no way condemning the argument made by the blogger I just quoted. I hope he continues to make his voice heard. However, his post does illustrate the stakes in which the teaching debates are taking place. Because, to be clear, teaching is a profession (often a challenging one) and most teachers, despite what they give to the community, also teach for the money, if only because they live in a system that demands it. The point that both the Right and the Left seem to forget in the debate is that payment and “doing it for the kids” do not have to be mutually exclusive sides of an argument. The terms offered here are what Slavoj Zizek would call a “false choice.” One can be a benevolent, caring person who is proud of the contribution he/she makes to society while also earning a fair wage while doing so. Or, to put it another way, one can give in a loving, benevolent way and still expect a return without tarnishing the care and love implicit to the original gift. The problem is that neo-liberal economics have generated a system in which self-interest is always already the bottom line and therefore it is a rhetorical impossibility to hold both ideas together in the same argument. Refusing to admit that teachers do it for the kids and the money is only to reinforce the logic that the opposition is using to refuse pay raises. Gift rhetoric helps to facilitate the false choice in which the debate is taking place insofar as coded within the language of the gift is the very notion that money is not proper to the terms of the exchange. Rather than participating in the rhetoric of the gift, which only facilitates the neo-liberal position, a more productive way for the Left to assert their own arguments is to call attention to the benefits of exchange implicit to the “gift of teaching.” Rethinking economic exchange as productive tool of teaching, rather than a disavowed surplus value, can provide new leverage for the left in the public school debates outside of the terms in which the debate is currently taking place. Also, I have shared your website in mmy soocial networks!